Researchers working in Rwanda’s Volcanoes National Park in 2012 witnessed just how intelligent mountain gorillas are when they observed them dismantling traps laid by poachers. Only days after a young gorilla died after being caught in one of these snares, two four-year-old gorillas were filmed working together to disassemble similar traps. 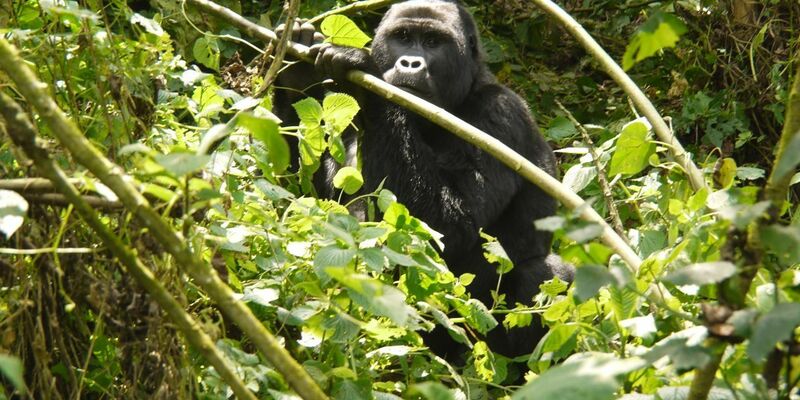 “This is absolutely the first time that we’ve seen juveniles doing that … I don’t know of any other reports in the world of juveniles destroying snares,” said Veronica Vecellio, gorilla program coordinator at the Dian Fossey Gorilla Fund’s Karisoke Research Center. “We are the largest database and observer of wild gorillas … so I would be very surprised if somebody else has seen that,” Vecellio added.